We are pleased to announce the BodenTypeDC One data centre facility has been officially approved for operation by Swedish local authorities. The approval is a significant milestone for the H2020 funded project, which aims to prototype a data centre design which can be replicated simply and cost effectively. The issuing authorities – County Administrative Board (Länsstyrelsen) and Local Municipality (Bodens Commun) have approved the building’s appearance, deeming it in keeping with local building aesthetics. 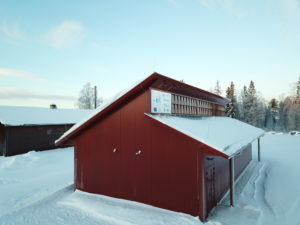 Despite the international roots of our consortium we have successfully built a very Swedish looking data centre!